The project is at an early stage. South Street has had a mix of housing and industry over a long period, There are houses with origins in the 17th century (and possibly earlier), there was a union workhouse, a pest house, shops, pubs and many small cottages. Industries included timber, boat building, gas, chalk and cement works and the river provided the transport for these with barges, wharfs and warehouses. South Street was the site of Britain’s worst avalanche, has suffered from flooding and had terrible traffic problems when, prior to the building of the tunnel, South Street was the main road from Lewes to the east. It has the long-established Rowing Club and a Bonfire Society. 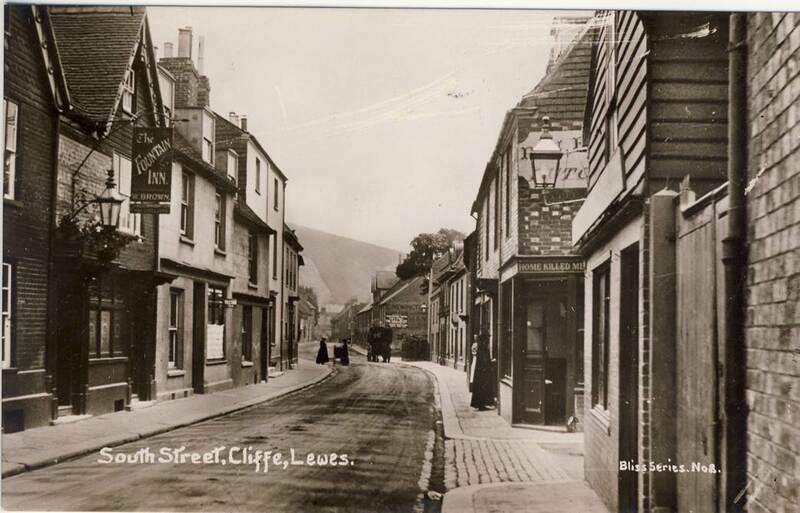 We hope to establish the histories of the houses and industries that were on the street to show how it has changed over time and we are interviewing Lewesians who have had long-standing connections to the street. Ultimately we would like to produce a pamphlet, maybe also a poster which could be displayed on the street, and, idealistically perhaps, a son et lumiere evening to bring South Street’s history to life.